The Monogatari Series will be streaming just hours after its initial airing in Japan! 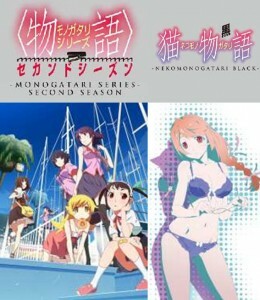 SANTA MONICA, CA (March 4, 2013) – Following its recent release of the Bakemonogatari and Nisemonogatari Blu-ray Sets earlier this year, Aniplex of America Inc. has announced the acquisition of both the Monogatari Series Second Season and Nekomonogatari Black. Both titles will be available for streaming this summer. The highly Monogatari Series Second Season will be available streaming just hours after its initial airing in Japan. 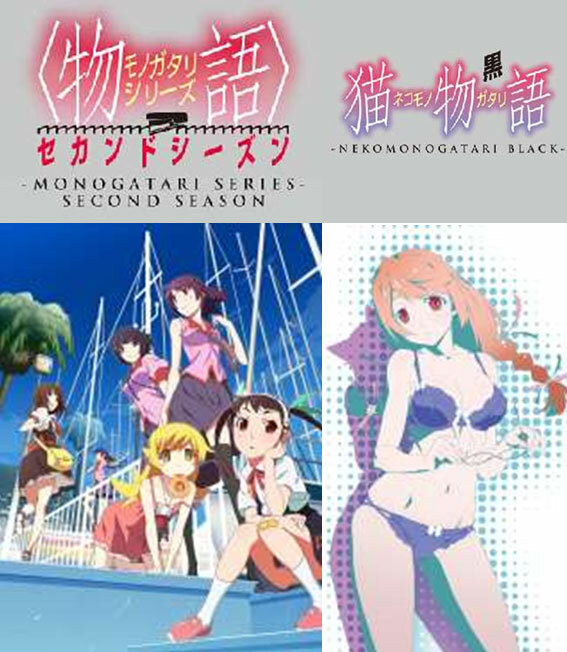 Immediately following the events in Nisemonogatari, the second season of the Monogatari Series is a collection of stories featuring the entire Monogatari cast.With so many questions left unanswered from Nisemonogatari, what will Koyomi Araragi, Senjyogahara and the others get into next? Nekomonogatari Black will also be available streaming this summer. Originally airing in Japan this past December, Neokomonogatari Black is set as a prequel to Bakemonogatari and Nisemonogatari. Fans will enjoy being fully be up-to-date with the Monogatari Series. In addition to their streaming plans, Aniplex of America is also planning on a home release version of the Monogatari Series on disc. Details about the physical release will be announced on a later date. Aniplex of America Inc. (Santa Monica, California) is a subsidiary of Aniplex Inc. (headquartered in Tokyo, Japan), a group of Sony Music Entertainment (Japan) Inc. and leading provider of anime content and music production and distribution in Japan. Aniplex of America has launched fan-favorite DVD and Blu-Ray releases such as Bakemonogatari, Durarara! !, Puella Magi Madoka Magica, the Garden of Sinners and Blue Exorcist. The company’s ever-growing line-up of shows includes our most recent titles, Sword Art Online, VALVRAVE the Liberator, Magi, Oreimo 2, Oreshura and Vividred Operation.